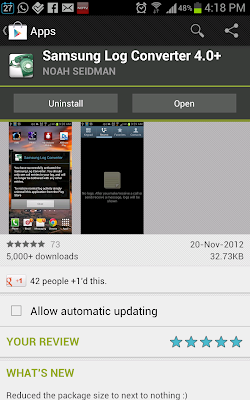 If you have a Samsung Smartphone having Android you must have faced a major glitch of unnecessary logs in your log menu. These futile logs contains stuffs like SMS, MMS, SNS, IM and email appearing all on the logs screen. I know Samsung has tried to show off it's lucrative smartphone feature in all way by including multiple logs feature but that may not be very useful practically. I mean it really makes stuffs more complicated when you always wanted to use logs as only as logs. Just for checking dialed, missed and received calls as always. Well there is an app for most of the things you needed the way you want. A free app written by "Noah Seidman" called "Samsung Log Converter 4.0+" solves this problem and make your log very simple just showing the calls logs. The best part about this app is you don't need to change various settings to block other notifications on the log. 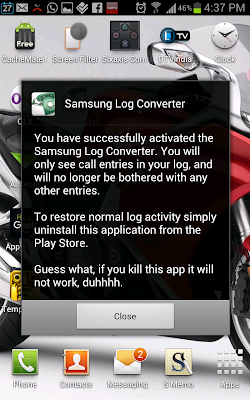 Just installing it makes all other logs disappear. 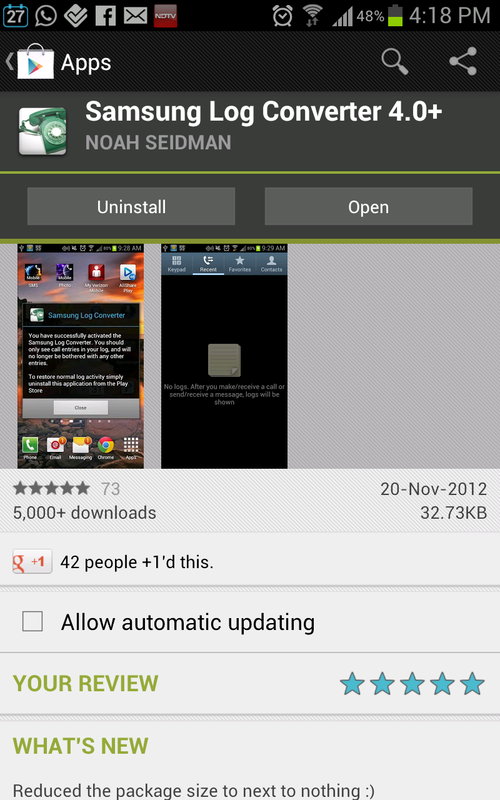 Get it for free now on Market for free. If you have any questions please let us know in our comment section.